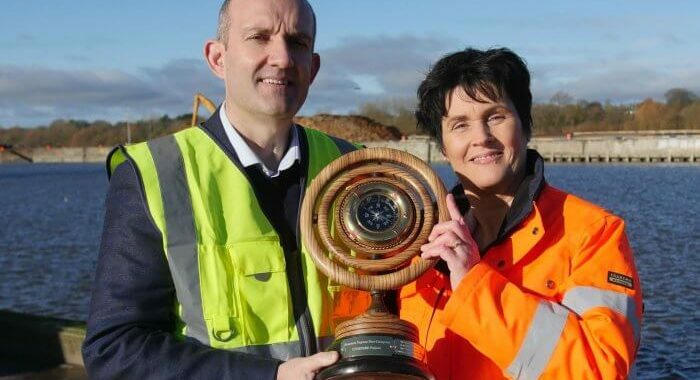 One Kerry and four Limerick schools are set to go head to head to see which is most tuned into the future energy needs of the region after being shortlisted for the final of the biennial Shannon Foynes Port Company (SFPC) ‘COMPASS’ transition year competition. The schools have made it beyond an initial round of record entries for a competition established to raise awareness of the potential of the Shannon Estuary and SFPC as an economic driver of national importance. The event will be held at the Foynes Flying Boat & Maritime Museum on Friday, February 8th next, with the winners being presented with their awards by local Minister Patrick O’Donovan, while they will also get to hear from Limerick’s All-Ireland winning manager John Kiely, himself a second level school principal at Abbey CBS in Tipperary. The five schools have been shortlisted from a record number of entries for the competition from schools across Clare, Kerry and Limerick. Outgoing champions, Salesian College Pallaskenry, have made it through to the final round to get a shot at defending their title with their ‘Under the Sea Team (Seaweed into Biomass)’ project. They will have strong Limerick company from Laurel Hill Secondary School, who will present their ‘Working Waves Team’ project; Coláiste Mhuire Askeaton with ‘The Reclaim & Sustain Team’ and John The Baptist Community College with a project called ‘Wishy Washy – Tidal Turbine Power’. The sole Kerry school to make it through from the two other counties is Causeway Comprehensive with their project ‘KTPE’ (Kerry Turbined Powered Energy). Looking ahead to the final, SFPC Pat Keating said: “This is our third year hosting this competition and it’s high on our agenda in terms of its role in educating young people from this region as to the importance and potential of the Shannon Estuary, the opportunity for it to become a major employment hub and our own role as a company in it. The interest in the competition has grown with each event and we are expecting a lot of excitement and energy but also some very interesting and innovative ideas on Friday week,” he said. In addition to the perpetual trophy, the winners get a commemorative gold medal, an iPad each and their school also gets a €2,000 prize. All runners-up will receive a silver COMPASS medal and a day’s sailing on the Shannon Estuary, kindly sponsored by Foynes Yacht Club. The competition judges are Committee Chairman and SFPC Harbour Master Mick Kennelly; Helen Downes, CEO of Shannon Chamber; Anne Morris, Skillnet Manager Limerick Chamber; Lindsay Sharpe, Strategic Marketing Specialist, ESB Networks; Joseph Coleman, Centre for Robotics & Intelligent Systems, University of Limerick.